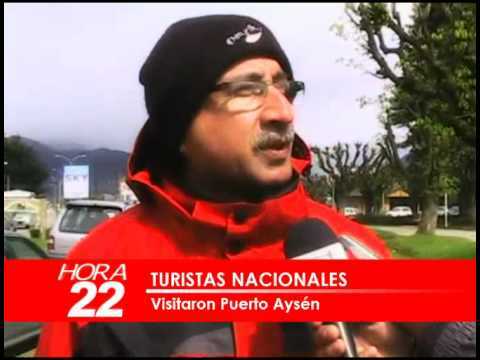 Activity Type: Walking tour of Puerto Aysén. Start: Artisan Center of Puerto Aysén. 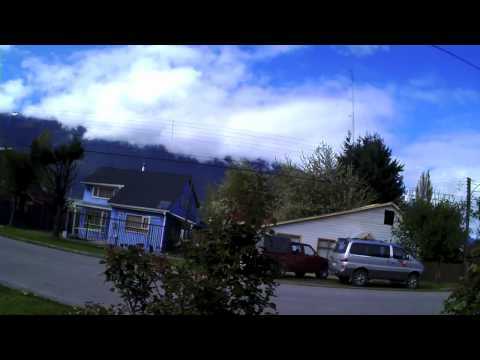 Distance: Puerto Aysén is approximately 67 km (1 hour) west of Coyhaique. The walking tour is 2 – 5 km, depending on your chosen route. Special Considerations: We suggest bringing a good pair of walking shoes, a raincoat and your camera. Today, Puerto Aysén is the second largest city in the region, but for many years it was the largest and most important, the designated capital of the region and the official port of entry for Chilean Patagonia. During the first several decades of the 1900s, the city of Puerto Aysén was a renowned hub of intense commercial activity, including a tremendous timber production and significant livestock and wool trade. Large ships would sail up the Aysén River on a daily basis, docking at the vibrant port which facilitated trade between Aysén, Puerto Montt and Punta Arenas. But the pace of the economic bonanza of Puerto Aysén proved unsustainable. Over timbering, wildfires used for clearing land, massive livestock grazing, and the natural conditions and climate of Aysén all converged in the early 1960s, resulting in an enormous accumulation of sediments in the Aysén River that no longer permitted the movement of large boats. The port was moved 14 kilometers west to Puerto Chacabuco, forever affecting the growth and productivity of this once vibrant port. The city’s situation was worsened by the designation of Coyhaique as regional capital in 1976. In the late 1980s the city’s fate began to improve as a result of growth resulting from the arrival of salmon farming and later, tourism. Today, Puerto Aysén and Puerto Chacabuco are inseparably linked; Aysén provides the infrastructure and basis for great visitor experiences and Chacabuco provides the bay and access to the sea. We suggest you begin your tour of Puerto Aysén in the city’s artisan market located on the south bank of the Aysén River. Craftsmen from all over the region work from this market during the summer months, offering a variety of handmade crafts that range from traditional woolen sweaters to wallets and handbags made from salmon skins. And don’t forget to look for the delicious handmade chocolates of Puerto Aysén, filled with local fruits like calafate, murta and rose hips; definitely a delicious “trail mix” to enjoy during this urban hike. Leaving the market, head north, over the beautiful President Ibáñez Bridge, which is a National Monument and a critical artery for the movement of goods throughout the Region. Its 210 meter length makes it the longest suspension bridge in Chile, and as you cross over, you will be able to observe its complex structure with hundreds of huge metal support cables. The bridge was a pivotal symbol and strategy for the 2012 “Social Movement of Aysén”, when inhabitants of the region, mobilized by demands that the State make long-needed social and economic improvements, prevented use of the bridge for more than 30 days via roadblocks and demonstrations. Continue straight two blocks and take a left onto Sargento Aldea. As you walk along this street you’ll get a feel for the day to day rhythms of life in the city, with opportunities for great window shopping and people watching. Keep in mind that you’re also tracing the history of this sector; if you walk all the way to the end of this street you’ll end up at the Old Port, which formerly welcomed ships from all over the world. Leaving the Old Port, head for the adjacent Aguas Muertas Docks. 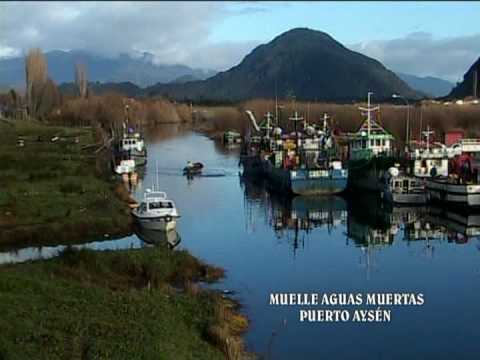 The scene is one of the main postcards of Puerto Aysén, with a colorful collection of small fishing and touring boats. It’s a great place to talk with local fishermen, reminisce about the “golden era” or contract a day excursion to explore the nearby waters. If you keep walking, you will find the suspension bridge that crosses the Los Palos River. Here you have two options: 1) continue toward the right for 10 km to the Los Palos Lake sector, where you’ll be surrounded by the beautiful waters of the lake, huge native forests, impressive snow-capped mountains, small waterfalls and beautiful beaches; or 2) head toward the left for 8 km to the Acantilada Bay in the Aysén fjord, one of the favorite summer swimming spots for local Ayseninas. If you’re ready for some great food after your walk, try one of these great seafood spots: Isla Verde (Teniente Merino 710, (067) 2334583); Cabanas Patagonia Green (Lago Riesco Ave. s/n, Puerto Aysén, (067) 2336796, www.patagoniagreen.cl); or Café Entre Amigos (Sargento Aldea 1077, (067) 2333433).